How To Help College Freshmen Manage Their Own Health : Shots - Health News Students, health care providers and parents all have a role to play in making sure college freshmen know how to get the health care they need when they're away from home for the first time. Staying healthy and knowing how to find good health care is a big challenge for college freshmen leaving home for the first time. For college freshmen who left home for the first time this year, learning to live with a roommate may be one of the easy challenges. For many, this is also the first time they will schedule medical appointments, fill prescriptions, and make decisions about their own health care. Unfortunately, many students aren't prepared to meet these basic life challenges. But with a little planning and parental guidance, college can be an opportunity for young adults to learn how to stay healthy and figure out how to get the right care when they are ill.
At this age, "a lot of kids aren't sure who their doctor is," says Dr. Laura Richardson, chief of adolescent medicine at the University of Washington. For her patients heading to college, Richardson poses this question to get them thinking: "What does a health care provider need to know to take care of me?" First, students should know ahead of time what options are available on campus, says Dr. Megan Moreno, an associate professor of pediatrics at the University of Wisconsin. "Students hear 300 different things during a six-hour orientation," she says. "Many don't remember or have a vague sense of what is available, but can't recall how to get help." Health resources on campus vary a lot from school to school. Larger schools may have a full-service clinic on campus, while smaller schools might have close relationships to providers in the community. Plus there's been an explosion of urgent care centers opening in the last few years, so students should check out all their options. Students also should understand when to seek medical care and what constitutes a health-related emergency. That includes when to call 911, when to go to the emergency department, and when to get a walk-in appointment. "In general, infections can't wait. A sprained ankle can wait," Richardson says. The most common reasons college students seek medical care include upper respiratory infection, pneumonia, strep throat, and urinary tract infection. And students shouldn't leave home without a basic understanding of how to interact with insurance carriers, including how to find care in an emergency. Several online resources offer help with basic questions college students may have, including the Centers for Disease Control and Prevention's college health index, the American College Health Association's index, and familydoctor.org. Parents can help prepare students by going over the care they have been receiving at home, including how to get medication refills, seek specialty care for chronic illness, or schedule ongoing therapy. For students on long-term medications, knowing how and where to fill prescriptions is as important as knowing what medications they are taking and why. "Often, no one will have discussed indications and side effects, especially if a medication was started young. The early education went to parents, not the kids," says Richardson. It's important to talk to adolescents and young adults about side effects and what to do about them, not just before college but before camp and sleepovers. For young adults with chronic health conditions such as diabetes or asthma, more deliberate planning is required. Richardson says students need to have "someone to call and problem solve if needed." This may be a health care provider back home, a campus health provider, or a combination. Many students schedule visits with their home provider during school breaks, and also use the local campus primary care resources during the school year. To improve communication among the various parties, Moreno advises mailing records to the campus health center ahead of time. Hand-carried records are another option, although these can be misplaced easily during a move. 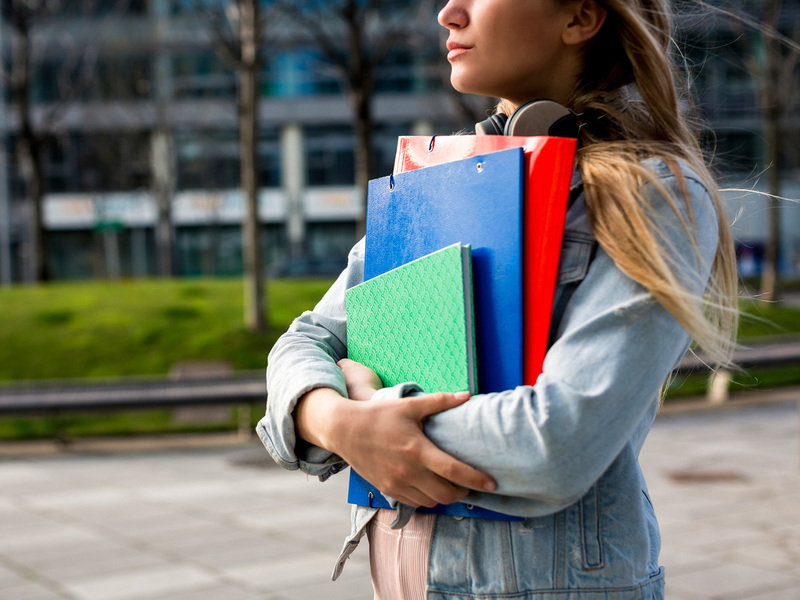 While starting college is exciting, it's often a high-risk time for many young adults, especially those with preexisting mental health conditions like depression and anxiety. Although the clinical severity varies, an estimated 10 to 20 percent of U.S. college students have some type of mental health condition. "When it comes to mental health, the condition itself might impair a student's ability to successfully engage in their care. Stigma can also impede the ability to get help," explains Moreno. Students who require ongoing therapy should anticipate needing a provider close to school. On-campus services for students with disabilities can help support academic success. Richardson's advice is to focus on general well-being including sleep and self-care. She says pay attention to lifestyle factors that might increase stress, such as the noise of a roommate, poor sleep habits, and the availability of alcohol and other drugs. Moreno is particularly concerned about alcohol. "For kids who drink before college, this is a time of risk for escalation due to freedom and increased access," she says. But she also worries about the kids who haven't tried alcohol yet, since they don't know their limits or how they might respond. Moreno tells her patients that it is OK to not drink. "Everyone is walking around with red Solo cups, but no one cares what is in the cup." For those who chose to drink, she advises drinking the least amount possible, especially early in the year. "Watch what is happening around you and figure out who your friends are." Besides their own health care, students should know how to help a friend who is not safe, whether the friend is intoxicated or just struggling with major life changes. "Sometimes students are worried about getting into trouble," says Richardson, so they don't speak up for themselves. Confidentiality rules related to health care under the Health Insurance Portability and Accountability Act (or HIPAA) have a number of practical implications once students turn 18 because parents have likely been the ones setting up appointments and scheduling tests until now. At age 18, students need to provide permission for care teams to discuss medical information with parents as well as university personnel. An unintended consequence of the law is that if a college student is doing poorly, no one may know, and some students can fall through the cracks. Richardson reminds patients that while parenting changes, it doesn't end at the dorm door. "Parents should remain a resource for students." For many students, the most basic decision is whether to shift their primary care to the campus facility or maintain care at home. Moreno enjoys these conversations with her patients because it is one of the first times they have a say in their own health care. She lets her patients know it is OK to do both and emphasizes that "choosing campus care is not a rejection of our relationship." "Successful transition [of care] is a process, not a single event," she adds. Dr. Preeti N. Malani is the chief health officer and a professor of medicine at the University of Michigan in Ann Arbor. You can follow her on Twitter: @PreetiNMalani.